Jacked Cat Jive Blog Tour Stop #3: Ndulgent Blogger! Jacked Cat Jive Blog Tour Stop #2: It’s About The Book! Jacked Cat Jive Blog Tour Stop #1: The Blogger Girls! More Ramen Assassin News! Pre-Order on DSP AND Meet its Narrator! Two things to announce this morning! The first is that Ramen Assassin is now available for preorder on Dreamspinner Press at the following link! I’ll be posting an excerpt or two as we get closer. 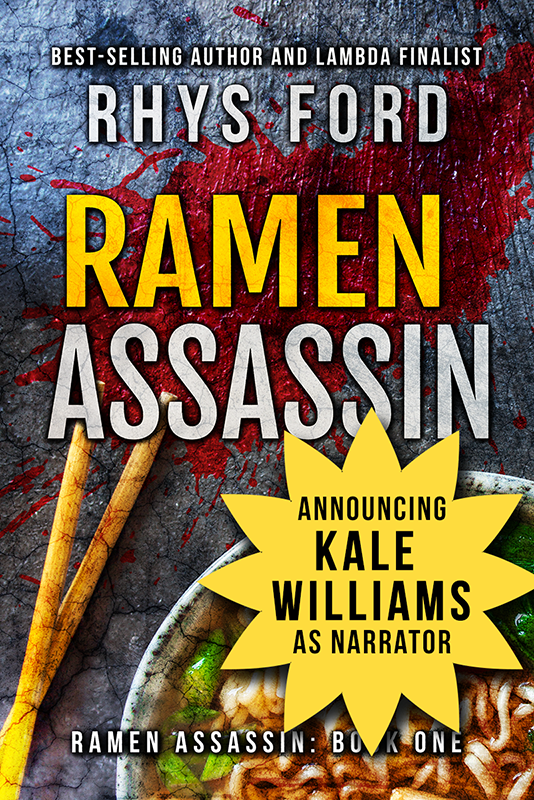 Second very exciting thing is… Ramen Assassin will be narrated by Kale Williams! I’m very happy to welcome Kale to my fantastic group of narrators and I cannot wait to have his wonderful talent behind this series. Thank you very much for agreeing to go on this crazy journey with me! To catch up with Kale if you don’t already know him, here’s his bio and where you can find him on social media. Kale Williams is a NYC-based narrator specializing in romance books of all stripes. In the MM world, he has been the voice of authors such as Josh Lanyon, Felice Stevens, S.C. Wynne, Tara Lain, Christina Lee, Robert Winter, and Sara York. He has worked with major publishers such as Simon & Schuster, Audible Studios, Tantor, and Dreamspinner Press. In addition to narrating over 100 audiobooks, he has been seen and heard on film, television, video games, and stages in New York City and across the country. When not in the booth, you can find him buried in genealogy research, out exploring our National Parks, and raising an amazing daughter alongside his partner, also an audiobook narrator. 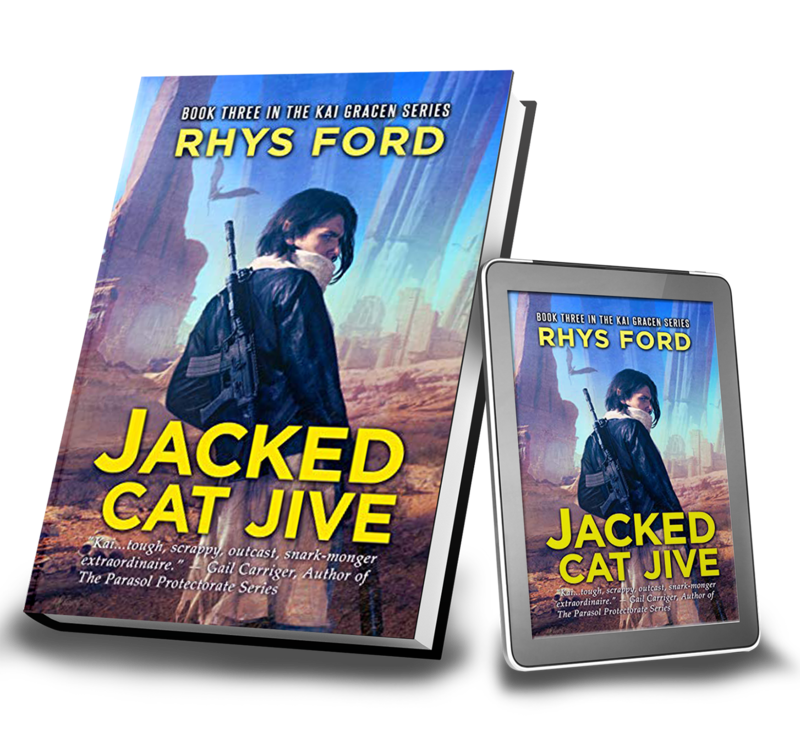 Announcing The Jacked Cat Jive Blog Tour! Starting Feb 28th! Ready to drop in on Kai Gracen? Announcing the Jacked Cat Jive Tour! Book drops on March 5th BUT we’re starting early and this time around, I’m going to be doing something different for the tour. 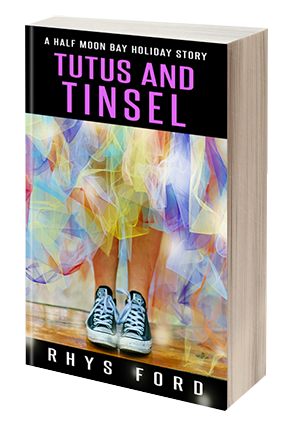 Yes, it’s a connected story you can read by following the blogs each day BUT this time, it’s told from Ryder’s point of view. I wanted to bring a bit of Ryder’s take on the post-Merge world as well as how he sees Kai. Well, how he deals with Kai. I hope that you join Kai and his next adventure and also enjoy this serialized story of Ryder and the trouble he gets into when he doesn’t listen to what Kai says. 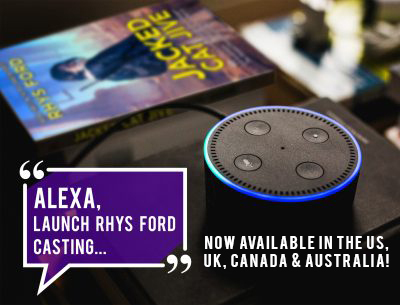 The Rhys Ford Casting Alexa Skill is now live in the US, UK, Canada AND Australia! 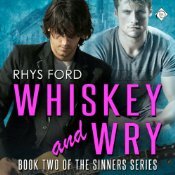 The Alexa Skill: Rhys Ford Casting is now live on Amazon.co.uk, Amazon.ca and Amazon.com.au! Just enable the app on your Amazon site and say the Alexa, launch Rhys Ford Casting. Announcing Ramen Assassin! Blurb, Cover Reveal and Pub Date! 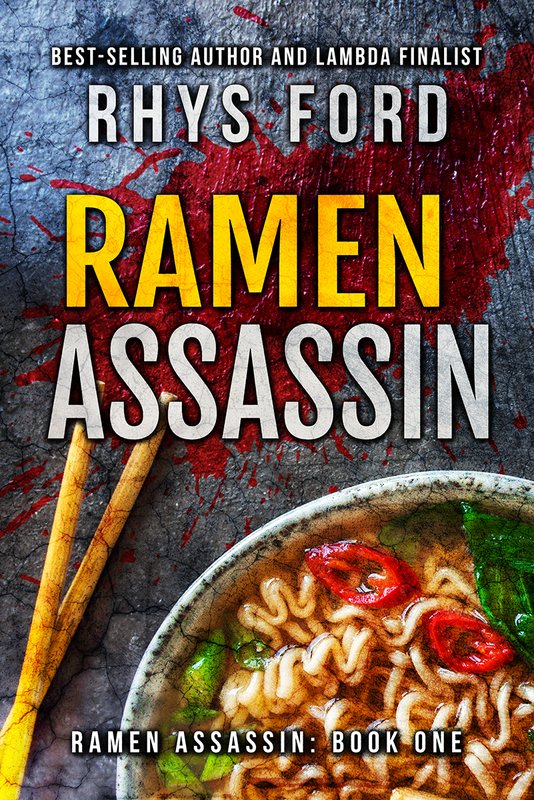 Announcing my upcoming release Ramen Assassin! Out June 25th! Published by Dreamspinner Press, this is the first book in the series. It’s an action-packed, mostly light-hearted-ish mystery-romance. I had a great time writing it and I’m really looking forward to coming back to these guys. I’ll let you know when we’ve got preorder links! Instead he’s dodging bullets and wondering how the hell he ended up back in the black ops lifestyle he left behind. After rescuing former child star Trey Bishop from a pair of murderous thugs, he reluctantly picks his guns up again. It seems trouble isn’t done with Trey, and Kuro can’t quite let go… of either danger or Trey. 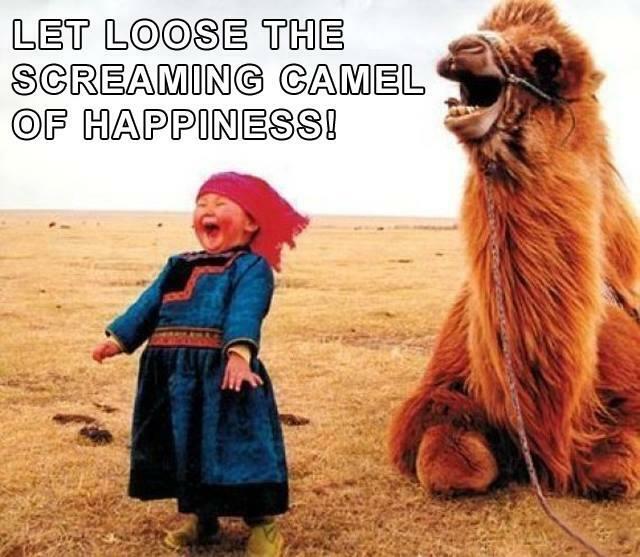 Releasing the Screaming Camel of Happiness! On 14 March 2019 at the St. Pancras Renaissance Hotel’s The Booking Office, we welcome you to join us for an unprecedented gathering of authors the likes of which have never been seen before! Actually, that’s a lie. I have no idea if The Booking Office has ever had gathering of authors before and I imagine since the hotel’s been there for a long time, I’m pretty sure it has BUT this will be the first time Bru Baker, Rhys Ford (me), TA Moore and Carroll S Poe will be there for a Readers’ Meet and we’d love to have you come see us! Please RSVP on the Google Docs or comment here so we know how many glasses of water to set out (That also is a lie… we need to know how many chairs to get). RSVP Here: European Invasion! – Google Sheets ! We will be more than happy to sign books and anything else you bring with you providing it is not a deed to a house or a cheque. That said, we do so hope you will join us! There will be food, swag and you can enter the European Invasion Giveaway that spans across all three DSP European Events!